Montmartre is a hill overlooking Paris, France from the north. It is approximately 426 feet in height. This hill is paradoxical in that it represents both a religious meaning but also serves as a popular nightlife district. The Sacré-Coeur Basilica is its most predominant landmark. Another church that pre-dates the Basilica is Saint Pierre de Montmartre. This is thought to be the site of the founding of Jesuit priests. Many famous artists such as Vincent van Gogh, Pablo Picasso and Salvador Dali occupied studios in this region. 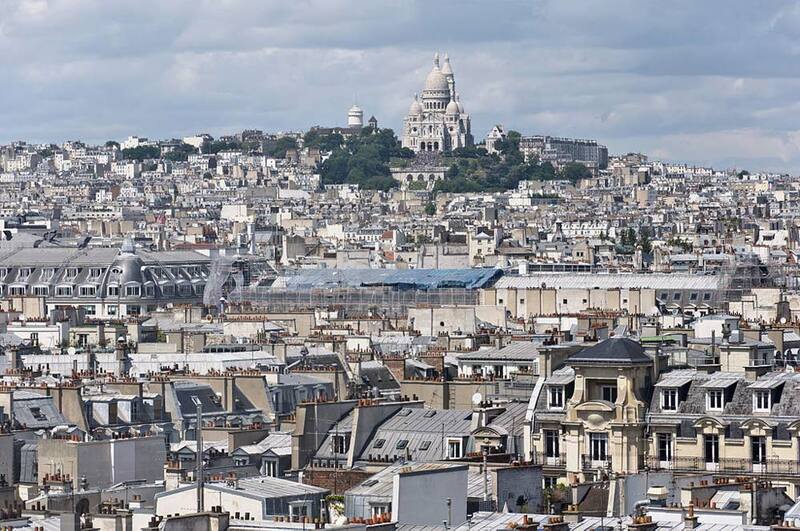 The name Montmartre is derived from “Mount of Mars” in Latin. In Christian times this was modernized to mean “Mountain of the Martyr”. Specifically Saint Denis is credited with the name having been decapitated there in 250 AD. Denis was a patron saint of France and once the Bishop of Paris. 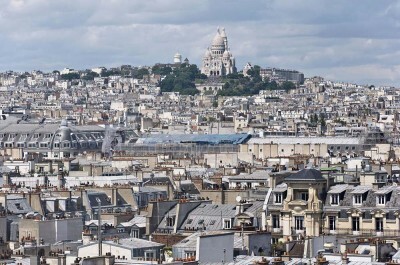 While there is no archeological data to support this notion, some historical observers believe Montmartre goes back to prehistoric times when it would have served as a druidic holy place due to its elevation in the area. In 1590 Henry IV used the hill as a fortress to defend Paris during a siege. Russian forces actually occupied the hill during the Battle of Paris in 1814. During the 1700’s and 1800’s Montmartre was utilized for its many gypsum mines. At the end of the 19th century entertainment found its way to Montmartre. This had much to do with the hill being outside the Paris city limits, and thus it was exempt from taxes. With the debauchery and decadent nature of the entertainment district came the free thinking artists. A restaurant opened at the top of the hill next to an old windmill. Its name was Moulin de la Galette and became a gathering place for the artistic contingent. On any given night one could find Johan Jongkind or Camille Pissarro there. An association of artists even grew during this time named Les Nabis and the Incoherents. This group consisted of avant-garde Post Impressionist individuals such as Henri Matisse, Pierre Auguste Renoir and Toulouse-Lautrec. Today in the Rue Saint-Vincent region of Montmartre vineyards still exist providing an output of approximately 500 liters of wine annually. The Musee de Montmartre still stands there. It is now the oldest hotel in the area. Espace Dali is one of the more popular tourist attractions on Montmartre. It is now a museum exhibiting the works of Salvador Dali. Most prominently displayed are his engravings and sculptures. All told there are 300 original pieces of artwork available for viewing.